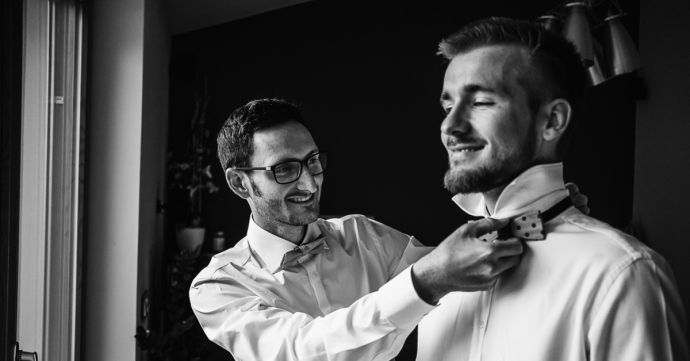 BEWOODEN -What to wear to a wedding as a guest? Be stylish! 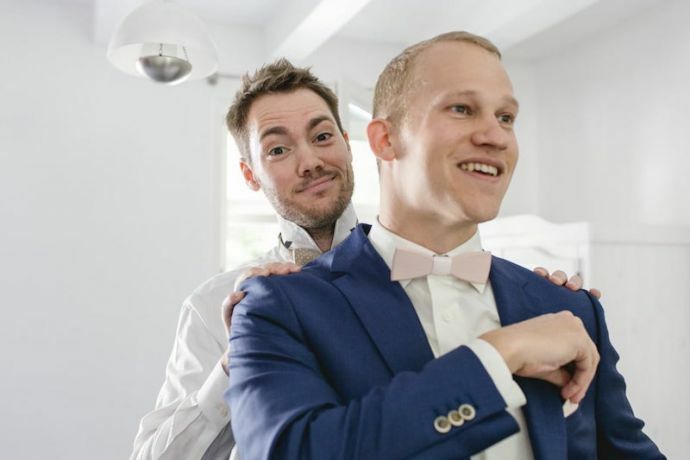 With so many different dress codes, written and unwritten rules, it can be difficult to know what to wear to a wedding, even for men. The older we get, the more we have to take these things into consideration. It’s even harder if a close friend or relative is getting married. They will probably expect you to make a massive effort for their special day. 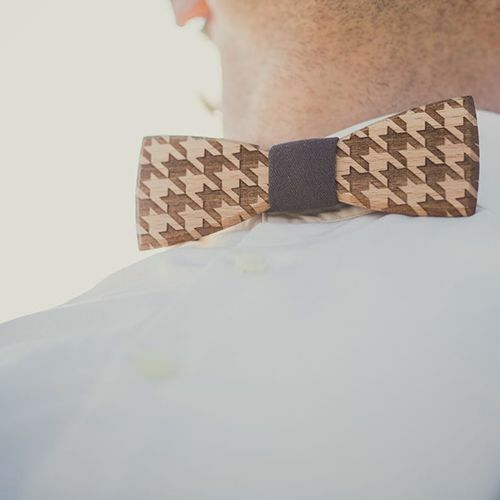 Traditionally, weddings have had a very specific and formal dress code. However, as we move deeper into the 21st century, the rules have relaxed. Still, this is a very special occasion and there can be couples, who opt for the more formal kind of ceremony. So, here we are with a little guide on what to wear whatever is stated on the invitation. 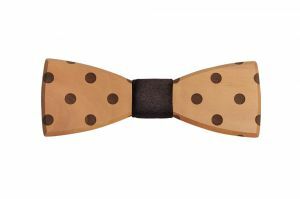 If the invitation says "black tie"
Every true gentleman should know the dress codes for special occasions, especially when it comes to the black tie, the imaginary pillar of the fashion world. 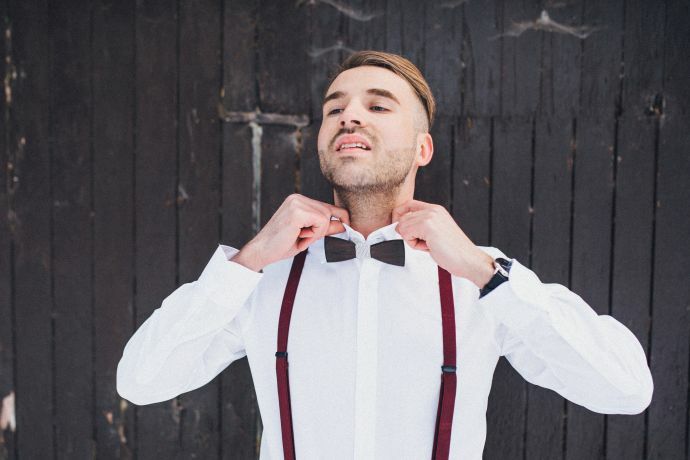 Although it may seem boring, wearing black-tie outfits may be beneficial in so many ways. If there is a wedding in this style, your wardrobe decisions are made so much the easier because you already know the rules. 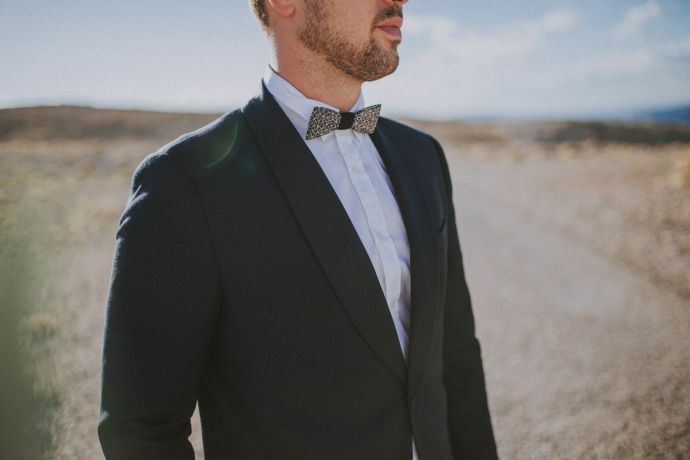 The base of the black-tie look is a tuxedo jacket. This is not a typical suit jacket - it has with a specific lapel cut. 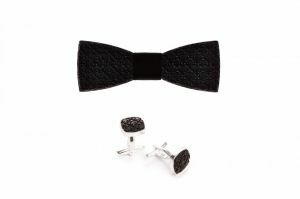 The snappiest dressers will have a tailor-made tuxedo jacket in their wardrobe. As for the rest of the clothes, they are probably things you already own. The shirt that accompanies a tuxedo should always be plain white, and the tie should, of course, be black, as well as the shoes. But, if you feel the urge to get away from the monochrome scheme, a waistcoat with a lacy pattern could be your friend. 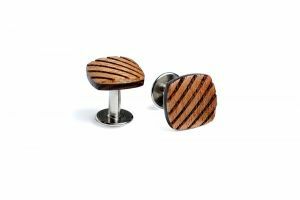 To top off your outfit, you could wear a pair of quality cufflinks and a light-coloured handkerchief in your breast pocket. 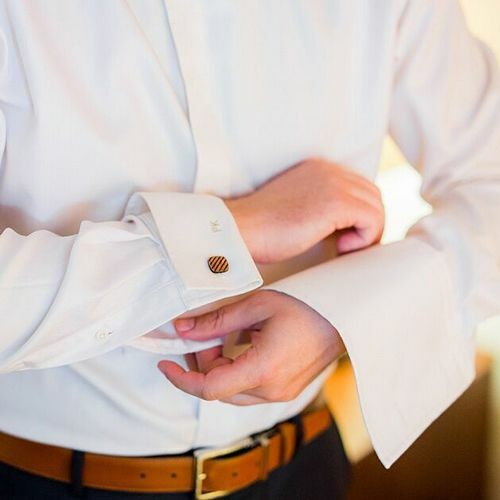 Semi-formal dress code is nowadays slightly more popular than black tie. At the same time, it is a safe choice if the level of formality is not mentioned on the invite. It also means you can play a little bit with your outfit. You can swap a black suit for a blue one, which will give your look the touch of summer. When we talk about experimenting with the colours, what about trying a combination of a red tie with a navy blue suit? These colours create a perfect contrast and will ensure you stand out from the crowd. Weddings are big events for everyone and the fashion stakes are high. It's hard to figure out how to look distinguished while not overshadowing the bride and groom. We would go for a perfectly cut waistcoat. 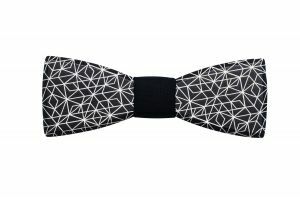 A unique piece of clothing, it will underline your sophisticated taste and style. But, if it's summer and you don’t want to wear a waistcoat, there's nothing easier than focusing on accessories. 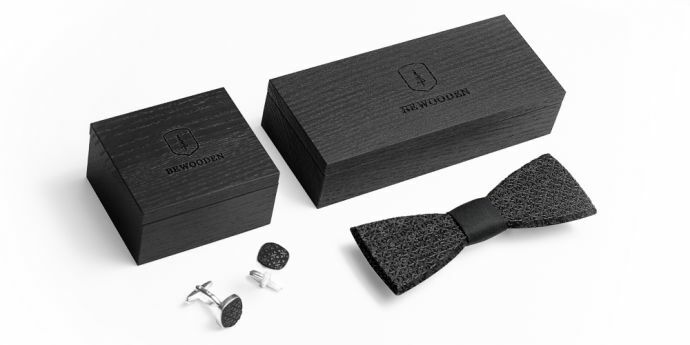 Replace a standard tie with a wooden bow tie and matching cufflinks, such as Bellis & Porro. They go great with a blue suit. 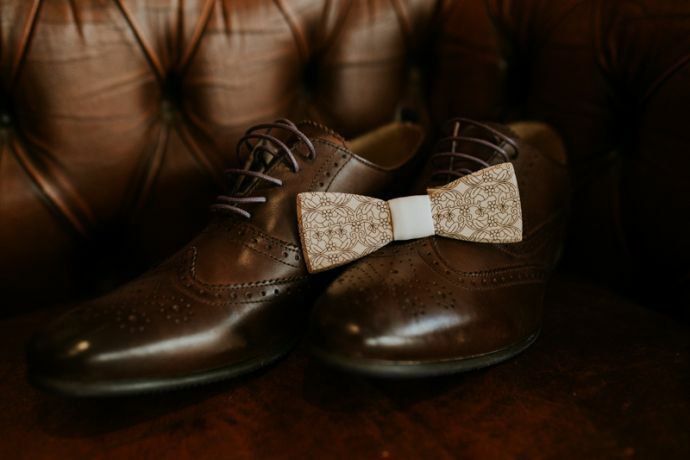 Fine-tune your outfit and kick off the big day with a pair of brown leather oxfords. They will break the formality of your suit much better than the usual low black shoes. In spring and summer wedding ceremonies, or at least the reception, are usually held outside. Warm and sunny days urge us to abandon formal dress and enjoy the opportunity to be more casual. That doesn’t mean we can change our suit for a t-shirt and a pair of shorts! Summer days give us more space to breathe and replace heavy materials with more breathable ones. This means light cotton and brightly coloured linen jackets are in. You don’t want to be sweating in a dark suit during the ceremony. Take the opportunity to be seen a little more and wear a light suit in contrast with a more distinctive shirt. Blue is the best choice again, and you won’t go wrong with any other pastel shade. As for the shoes, you can finally show off and head for another part of your shoe rack. Moccasins, derby, monk or boat shoes ... this time it’s only up to you! 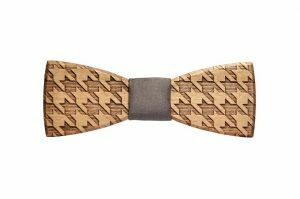 And what about pepping up your look a bit more with a unique accessory such as a wooden bow tie? Or maybe you want to feel free on a warm, sunny day. Not only to show off your cultivated taste, but also your cool view of life? 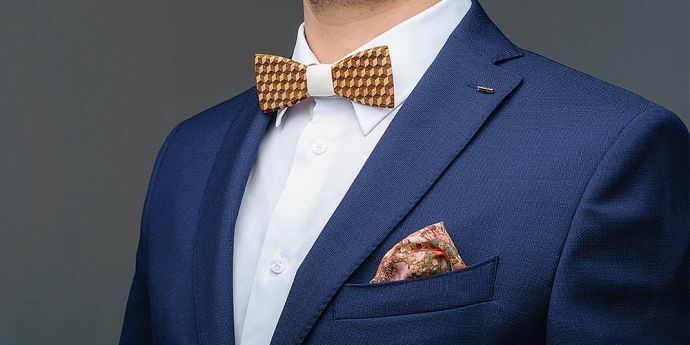 Small items such as a pocket handkerchief in your lapel can achieve this. 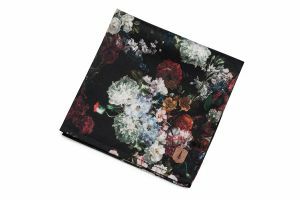 Especially the Roses Handkerchief, with a motif to go with your suit and add a unique floral touch that belongs to spring and summer. Wedding in May ?! Here's what BeWooden's got to say!